There are a lot of misconceptions of what flight attendants actually due, partially thanks to the media representation that this industry gets. However, flight attendants are more than just people who walk around waiting on passengers. The actual roles and responsibilities of a flight attendant are far more complex than you may think it is. Let’s take a closer look at what a flight attendant actually does so that you can learn more about this profession. A flight attendant has a great deal of responsibilities that range from the comfort of the passenger to ensuring their safety during flights. Among the most important jobs a flight attendant has is keeping the passengers safe. They are the ones on the front lines, assisting the passengers with issues as small as finding luggage space to administering lifesaving first aid. They are also the ones out there helping in those more serious emergencies and evacuating passengers. Flight attendants are highly trained in first aid needs should something happen during the flight. If there is something more serious, they are trained to recognize the need for help and alert the pilot right away. 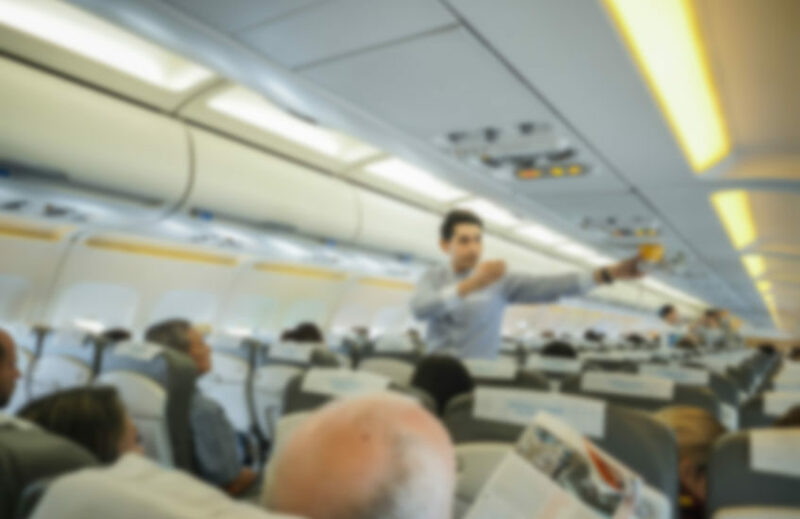 If something happens, the flight attendant needs to provide passengers with proper instructions on what to do during an emergency and direct them to emergency exits. If there are any malfunctions during the flight, they will let the pilots know so it can be taken care of before they takeoff again. The flight attendant will also be responsible for other aspects of safety on the plane. Once the passengers are settled in on the plane, they will begin demonstrating all safety procedures in case of an emergency. This also involves teaching passengers how to use the safety equipment to ensure that they are as safe as possible and prepared in the event of an unlikely emergency. Then, they will walk around to ensure the cabin is secure and all passengers are in compliance. If there are any loose items, they will secure these and examine the passengers to make sure that they have followed all of the safety information and instructions. Flight attendants will correct any improper behavior on the flight following their protocol. Flight attendants are the face of the airline, the customer service representatives in the air. Prior to the flight taking off, they will walk around to see if there is anything that the passenger needs to make the flight more comfortable for them. They assist with luggage and help the passengers to their seats. They will offer blankets, pillows, headsets, and any other amenities that the airline offers their passengers prior to takeoff. A flight attendant will also walk around during the flight, depending on the length of the flight, to offer food and beverage to passengers as well as answering calls from the flight deck crew. Should there be any problems or questions, the flight attendant is responsible for handling these matters. They are tasked with offering service with a smile to sometimes hundreds of passengers each day. Some people are afraid of flying, so the flight attendant will attempt to make those with a fear of flying as comfortable as possible. This is a stressful time for most people; you would be surprised how much difference a little comforting smile can make for their experience. Sometimes you have to play the role of an entertaining but sometimes you have to play the role of counselor. Be what your passenger needs at that moment. After the flight has landed, the flight attendant helps facilitating getting passengers off the plane. These are important tasks because it helps the airline to build up a positive relationship with their passengers and ensures the next flight is setup to leave on time. If they had a great experience thanks to the flight attendant, they will be more likely to book another flight with the airline. Flight attendants won’t be able to please everyone, much like with other customer service jobs, but they certainly try their best! Every airline is different, offering different amenities and services to their passengers. Some will have TVs and others won’t. Some planes have different rules regarding carry-on baggage. Since every airline is different, in so many ways, it is an excellent idea for both the passenger and the flight attendant to learn more about the specific rules for each of these airlines to better understand these different rules. For instance, some airlines don’t allow passengers to have carry-on luggage that they can’t lift or cannot help the flight attendant lift it. Or maybe certain things cost extra for the flight depending on the airline. These things can often lead to issues with the passengers, causing them to lash out on the flight attendants. In fact, there are a lot of instances where passengers will take their anger out on a flight attendant. From issues such as missing amenities or ones that are broken, passengers take their frustration out on flight attendants. There are some airlines that allow flight attendants to offer vouchers, which may help these issues. Learning how to patiently handle complaints makes the job of being a flight attendant less stressful! There is a lot of behind the scenes work that the flight attendant is responsible for, which you may not be aware of. Before every flight, they need to attend briefings that will let them know of any important details prior to takeoff. Not every flight is the same, nor is every passenger. When a passenger has special needs that require a flight attendant to adjust their plan, they are informed of these needs during this briefing. When they get on the plane, they then take time to take inventory when necessary and ensure the galleys are stocked with all the essentials needed for that flight. During the flight, they are responsible for handling any money that is earned during the flight for headsets and refreshments then record that information to keep track. The flight attendant takes meticulous notes on anything that happens during the flight, so that they can submit a report after the flight lands. Included in this report should be any medical emergency or notable incidences that occurred. A flight attendant must wear many hats during their shift, so to be a good one you need to be able to adjust on the fly. You will be someone’s superhero on that plane. You may not think that a flight attendant has an important job, but they have one of the hardest jobs on the plane. They are right there in the trenches, working with every passenger along with the flight crew to ensure that things run as smoothly as possible. They are a problem solver, counselor, and a compassionate friend to the passengers. They are sometimes busy during the entire flight depending on the length and destination. Flight attendants may hand out blankets and refreshments to passengers, but a flight attendant’s job is so much more than that.